The first Svipr app has been published! We have published our first application for our Svipr platform. Please download the application and use it in the Centraal Museum in Utrecht. Please feel free to leave me some feedback. 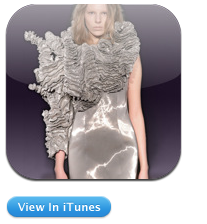 Live Deployment App, Centraal Museum Utrecht, Iris van Herpen, iTunes, Svipr. permalink.